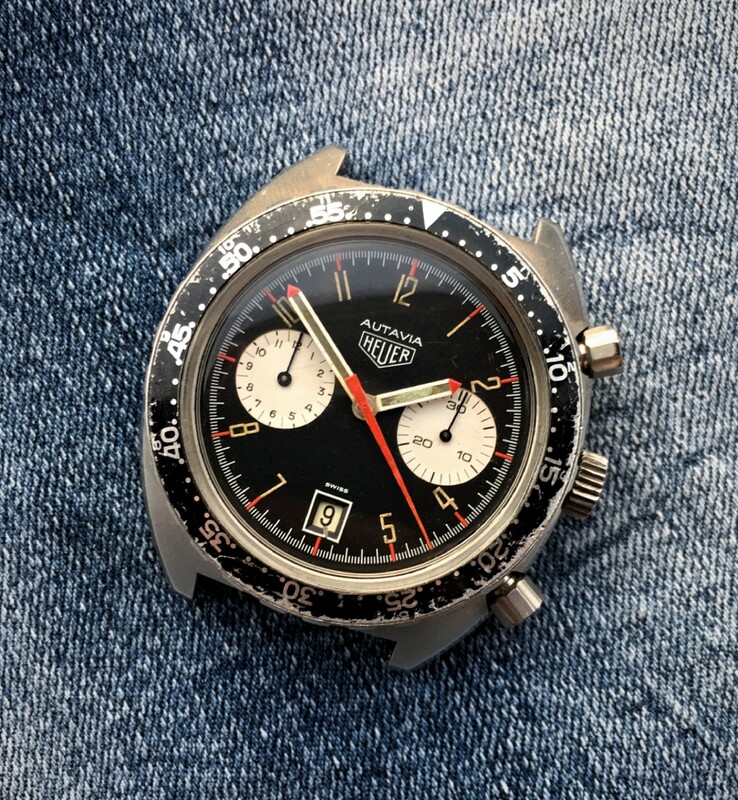 Still up for grabs this great manual Heuer Autavia, the reference 741.603 issued to the Kenyan Air Force in the early '70s. 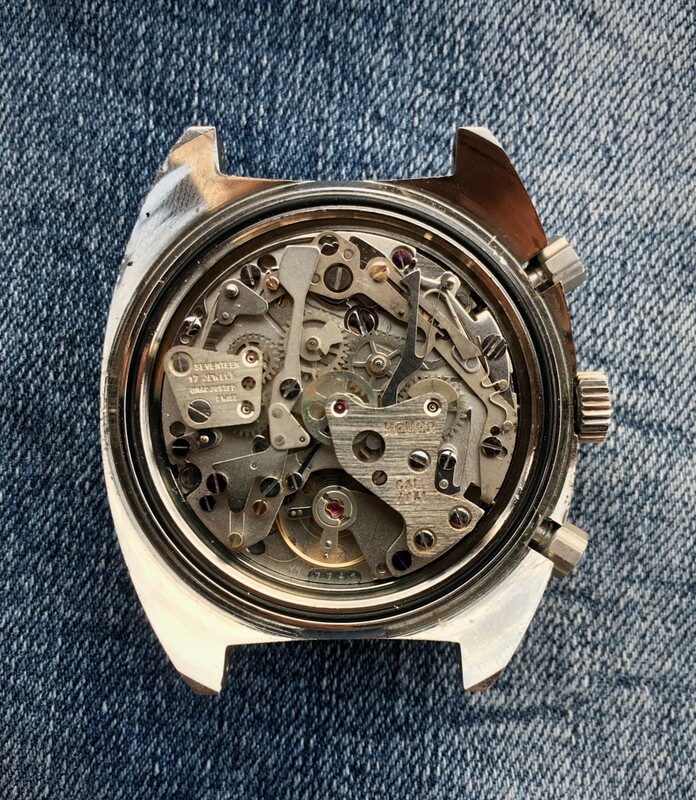 This watch is probably one of the rarest KAF Autavias, and it's for sure something you can't find everyday on the market. Powered by a 7741 valjoux (please notice: totally serviced last August) this watch features a stunning 42mm stainless steel case in great health, typical of these years' Autavias. I received LOTS of mail regarding possible interests. Mostly ended with silly trade offers, so please don't waste my and your time doing this! :) I am more than happy to keep this watch if not sold to a true lover of it. - Dial is perfect, red indexes and very warm tritium on a "navy blued patina" makes this dial an absolute stunner. I am sure to say that the dial is the best part of this watch. - Bezel is quite used, anything bad but of course it's not a NOS watch. We have always to remember that these watches were truly military items. - Hands are in great health too, red touches are very vivid, the Hour hand appears to be a little bit relumed sometimes in the past in my opinion. 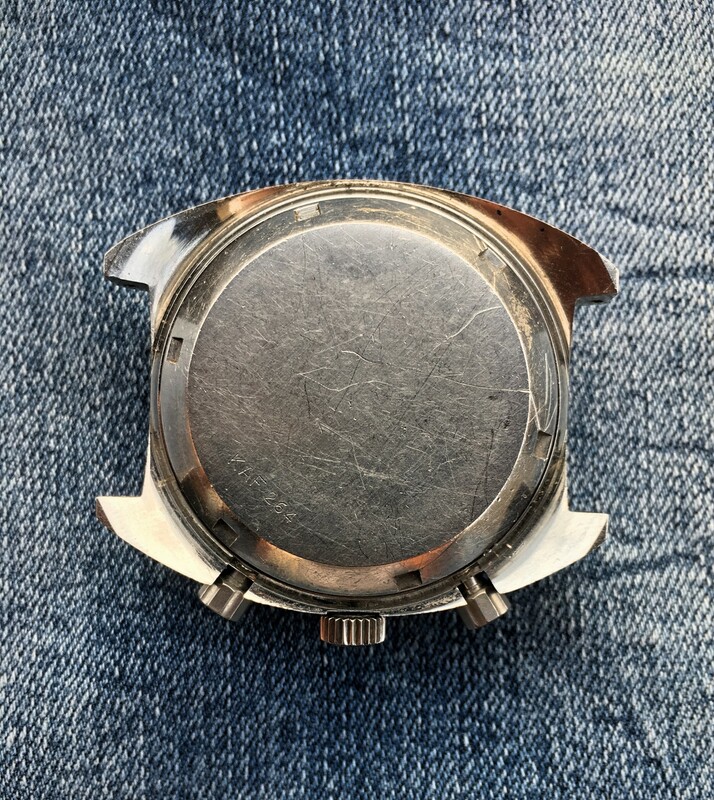 - On the caseback of course the military engraving is present: KAF 264. 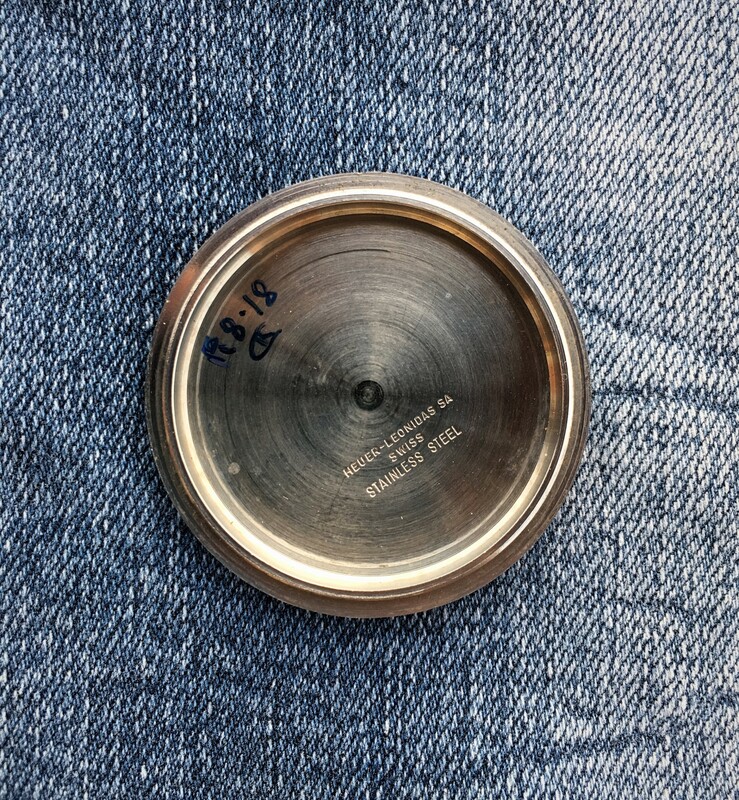 - Case appears to be unpolished. Other things to note: there's a little scrath on the glass at 6 o' clock, I didn't want to polish it, I think it will be a buyer's choice. So, overall, a stunning watch, a rare and desired reference for Autavias and Military watches collectors. Watch and me are located in Italy. 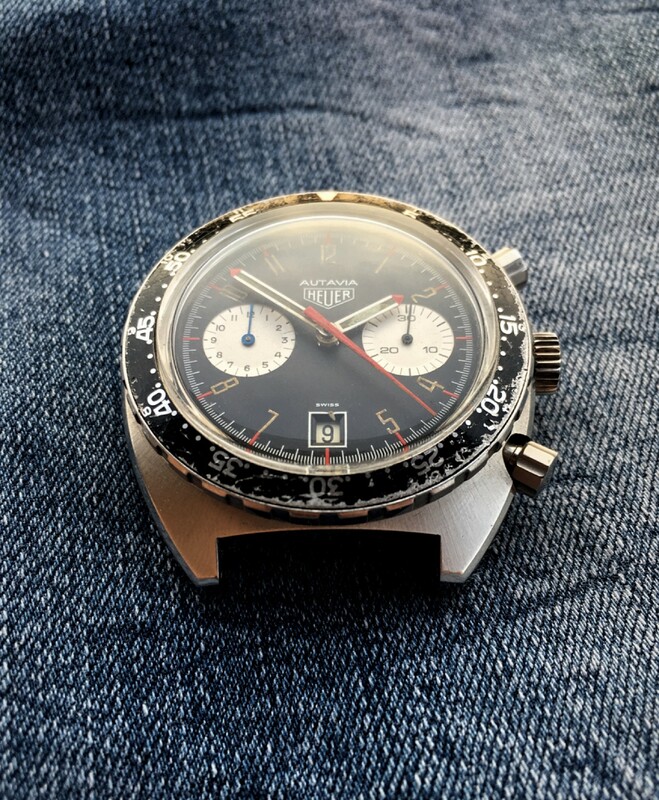 For this great KAF Autavia my last price is 6500€. Price includes a fast and tracked UPS shipment. I am full of references to provide in case of need. Please feel free to ask.